The next review for KRAVE Jerky will be on a 3.25 ounce/92 gram bag of their chili lime flavored beef jerky. This bag was kindly submitted by the KRAVE Jerky team. 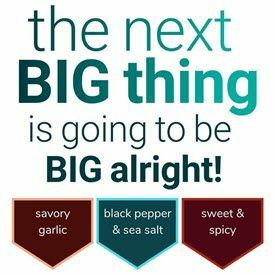 Note: For a recent, live taste review, open KRAVE Jerky – Chili Lime Beef Jerky (Recipe #2). 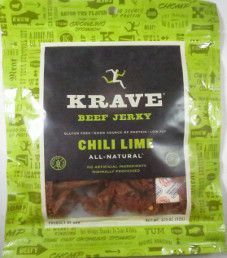 The next review for KRAVE Jerky will be on a 3.5 ounce/99 gram bag of their chili lime flavor. This bag was purchased at a convenience store while visiting San Diego, California, back in 2011. 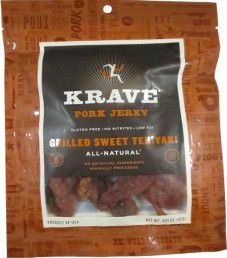 The next review for KRAVE Jerky will be on a 3.25 ounce/92 gram bag of their grilled sweet teriyaki flavored pork jerky. This bag was graciously submitted by the KRAVE Jerky team. 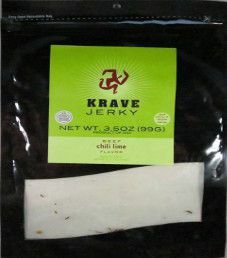 Note: For a recent, live taste review, open KRAVE Jerky – Grilled Sweet Teriyaki (Recipe #2). 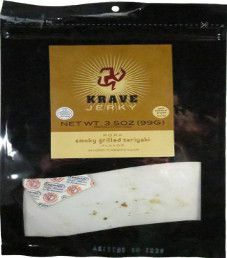 The next review for KRAVE Jerky will be on a 3.5 ounce/99 gram bag of their smoky grilled teriyaki flavor. This bag was purchased at a convenience store while visiting San Diego, California, back in 2011. 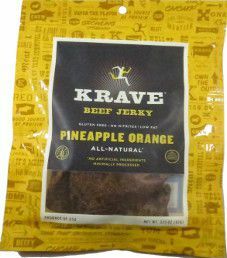 The next review for KRAVE Jerky will be on a 3.25 ounce/92 gram bag of their pineapple orange beef jerky flavor. This bag was graciously submitted for review by the KRAVE Jerky team.